Raw materials are the essential bottleneck assets that are highly important for the production of the finished goods. Thus, we stringently check the inputs before procurement. Buy the best quality oleic acid that is the perfect outcome of the best practices and the innovative techniques. Oleic acid is a fatty acid that occurs naturally in various animal and vegetable fats and oils. 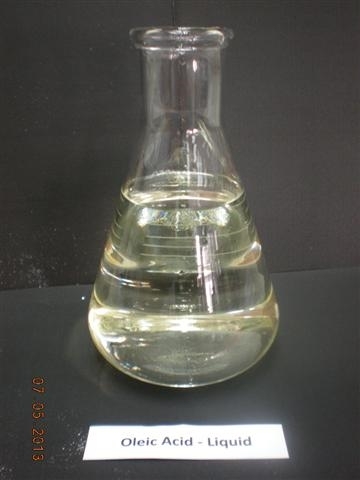 It is an odorless, colorless oil, although commercial samples may be yellowish acid. Oleic acid as its sodium salt is a major component of soap as an emulsifying agent. It is also used as an emollient. Small amounts of oleic acid are used as an excipient in pharmaceuticals, and it is used as an emulsifying or solubilizing agent in aerosol products.